Gardening editor Doug Oster gets asked a lot of questions. A lot. And he doesn’t mind offering gardening advice. But rather than just limiting those answers to the person who asked, we thought it might be a good idea to share that wealth of knowledge with everybody. • Send us a message on Facebook. Jennifer: I was hoping you could assist me! My son and I attended the Murrysville Home Show this past spring and we sat in on your gardening class. My son was the winner of five seed envelope packages. 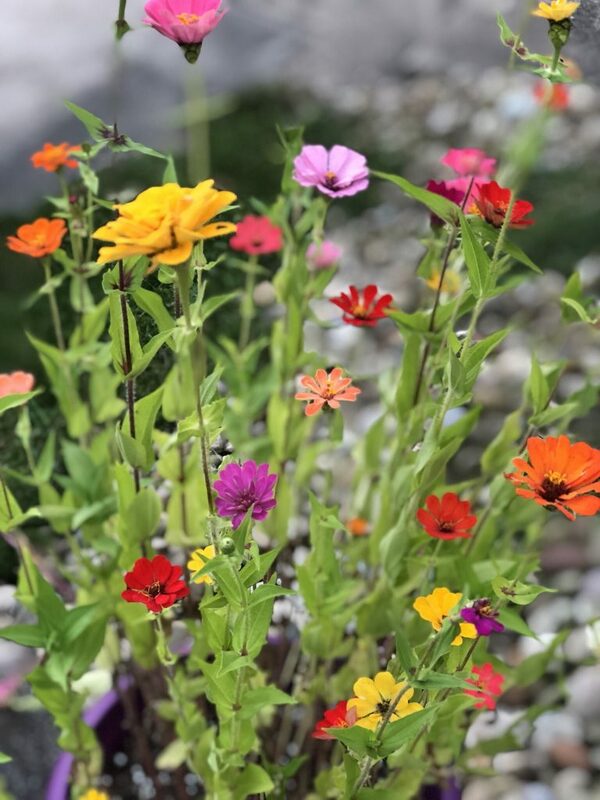 We planted all the packages and had absolute wonderful success with every flower. My question to you is … I can’t remember the name of the seed company! 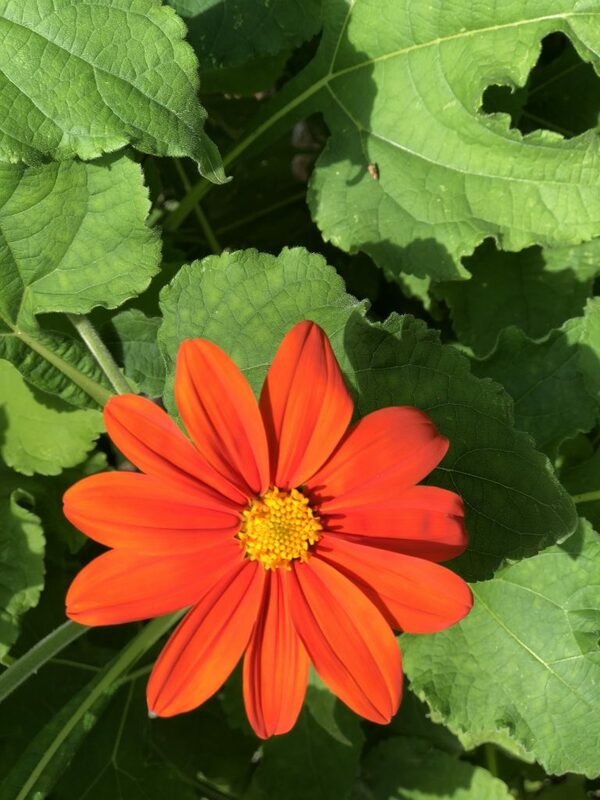 The only flower I know for sure is a Mexican sunflower. I was hoping to purchase more seeds for next season. Unfortunately I didn’t save the envelopes, and all I remember is that they were all white. I appreciate your time and help if you may. Doug: Those look great! I’m glad you had success with the seeds. They are from Lake Valley Seeds. They sell their seeds in local nurseries, not online. You can find their seed racks in many of our great local garden centers. I’ll have a lot of those seeds at this year’s Home and Garden Show at the David L. Lawrence Convention Center from March 1-10. You can come for free if you message me when we get close, and I’ll leave some tickets for you. 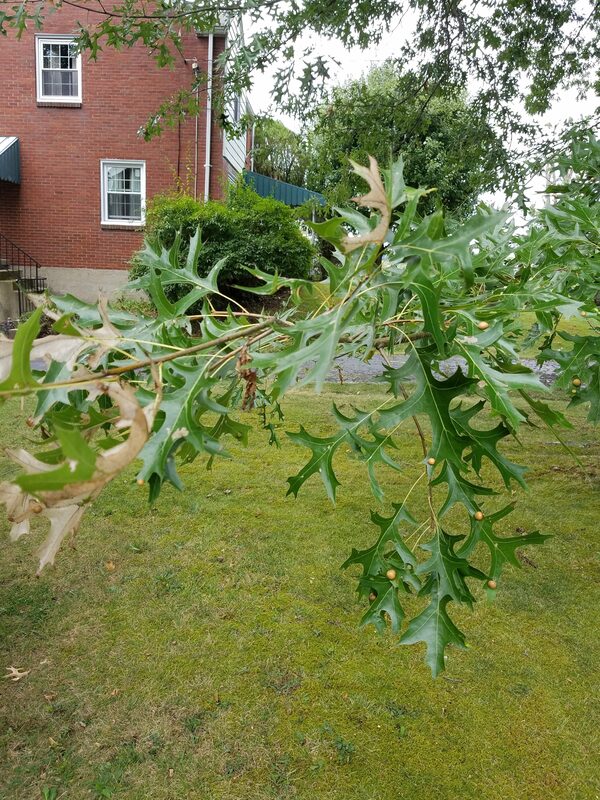 AnnaMarie: What are these blobs appearing on the oak leaves? Some of the leaves are starting to die. Laurie: What is the name of the company that does the Dutch auction for bulbs? It is on the tip of my tongue! Doug: Old House Gardens is one of my favorite places to order bulbs after I buy what I want locally. They sell fascinating heirloom varieties. At the end of the season, the bulb house has a Dutch auction. Whatever is left in the warehouse is put up for sale, and the bulbs are reduced in price every day until they are gone. Click here to read a story about the company. Ada: I have a climbing rose bush that is close to 100 years old. Normally it grows fast and furious. But about a month ago I noticed it didn’t look good at all, but not the yellow spotted leaves I had dealt with in past years. 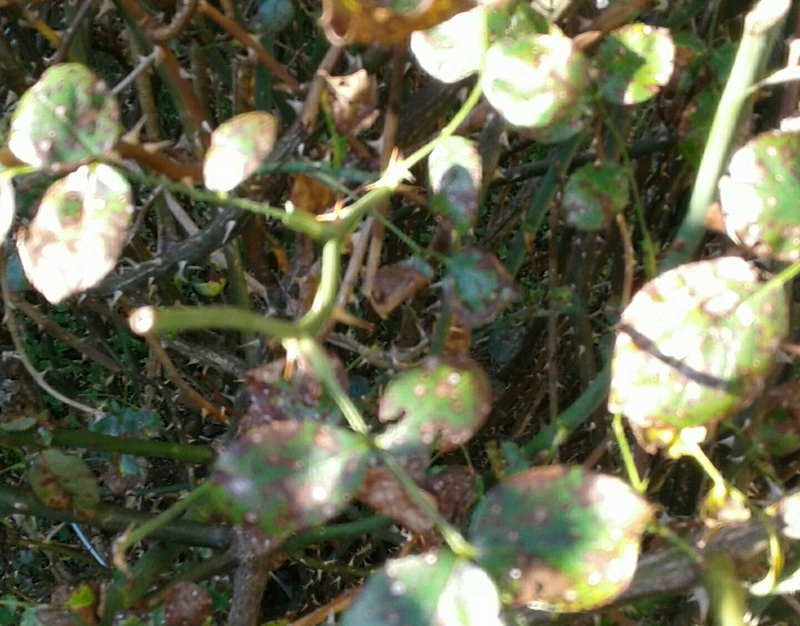 These leaves have many brown spots and many sections of bush look dead. I fed with rose plant food and new shoots appear healthy, but old shoots are getting worse. 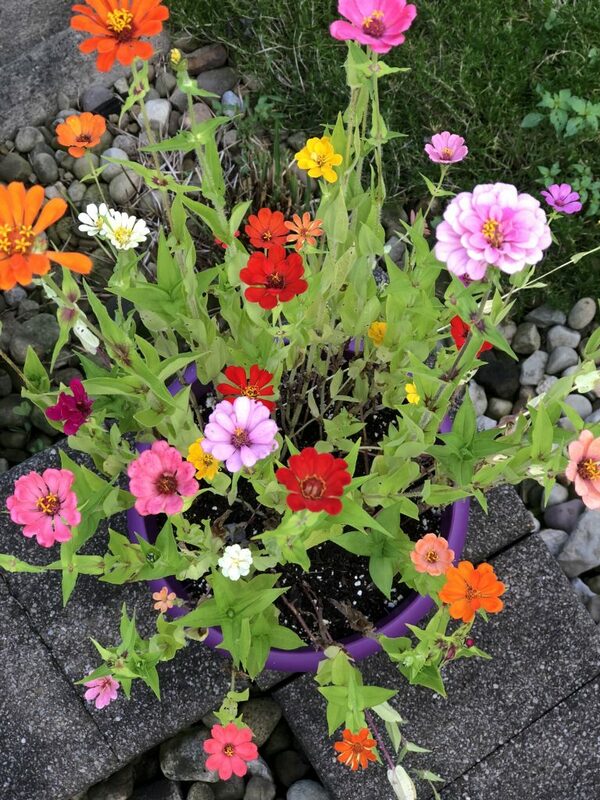 I called the Penn State Extension a week ago and was told a master gardener would contact me, but that hasn’t happened so I am hoping you can help me. Doug: It looks like black spot to me, which isn’t a big deal. It’s ugly, slows the plant down and often times stops fall blooms in a variety that flowers twice. At this point in the season, there’s nothing to do. Black spot is a fungal disease that was pretty bad this year due to all the rain. Serenade is an organic fungicide that will slow it down, but works best when applied as a preventative. Black spot is always best dealt with before you see it. Next year if we have lots of rain, apply the Serenade as the leaves appear and continue every few weeks through the season. Shop special Everybody Garden products today!